One of the best-kept treasures of staying slopeside in Breckenridge is Four O’Clock Run. 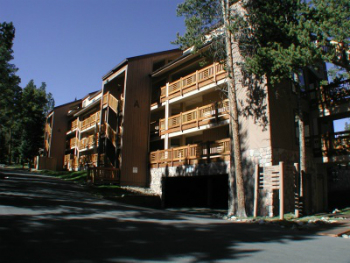 And all phases of Tyra Summit condos for sale lie along Four O’clock Run, so named because it brings you home at the end of the day after skiing the three peaks of the Breckenridge Ski Resort. A few more than 100 units make up these condos, spread out in several small buildings that grown to look more different over time. All have done a facelift since they were first built, and appear up to date on the exterior. Ready to start your search? Find that perfect Tyra Summit condominium below, or get more information about this popular community! Build in three phases from 1980 to 1993 these condos are situated in an open meadow of Sawmill Creek between Peak 8 and Peak 9, near the Snowflake Lift. Built by a group of developers from Miami, these units were the first construction this high on Four O’clock. Since then, several high-end subdivisions have filled in the vacant private land. Neighbors include Trappers Glen, Snowflake, Snowy Ridge and other exclusive subdivisions. Drive one-half mile up (west) 4 O’clock Road past Tyra Riverbend Condo. Summit Condos Phase Two will be the first buildings on the right, and Phase Three on the left. More condos from the first phase are on the S-bend in the road and farther along on the right. The larger the address number, the farther it will be up this road. On skis: take 4 O'Clock Run, look for Tyra Summit on right after maintenance barns, before Skyway. Do you want more free information about Tyra Summit and other Breckenridge condominiums? Get in touch with us online, or call us at (970) 453-2200.